My font size goes up and down to show the importance of the words which fills the empty area so my photo isn't empty. The copper in my photo contrasts the background and my easy reading font makes the words easy to see, and my quote definitely shows nice. The background is graves first of all because it shows the gravestones of all the people that died from gun shots. The photos of the coffins are to show all the people that are dying, The gun being crossed out is a gun to show guns need to be stopped. 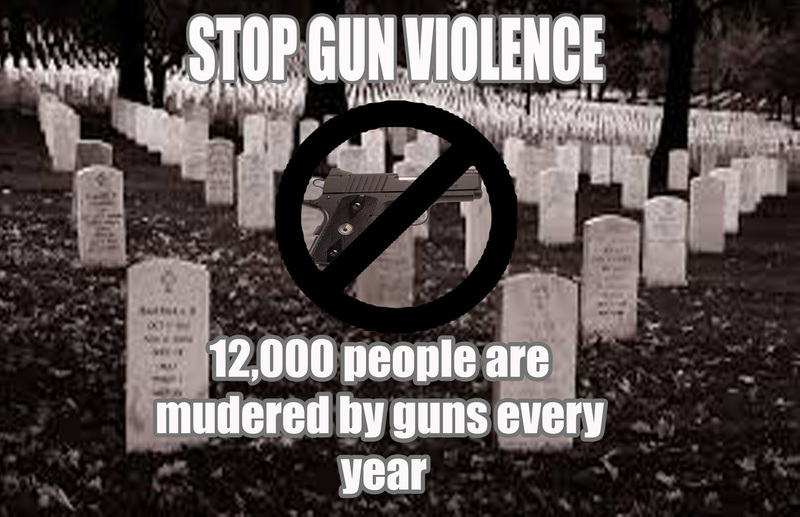 My message is to show that using guns inspire others to use them which leads to many deaths. I am proudest of my house in Minecraft because it was very hard to make and in the end it look very good. I could probably work on my concentration but im pretty happy on what I did.